The first three of the 9 T129A ATAK Helicopters with a downgraded configuration, defined as Erken Duhul Helikopteri/Early Delivery Helicopter (EDH) were delivered to the Turkish Land Forces at a ceremony held on 10 June 2014, and the ninth and the last helicopter entered the Turkish Land Forces Command inventory on July 31, 2015. The first T129B1 Helicopter was delivered to the Turkish Land Forces on 18 November 2015. Currently, a total of 77 T129B1/B2 Mk-I ATAK Multirole Combat Helicopters will be produced for domestic users including 50 T129B1/B2 for the Turkish Land Forces, 18 T129B1 for the Gendarmerie General Command and 9 T129B1 for the Turkish National Police Aviation Department. In addition, 30 T129B1/B2 ATAK Multirole Combat Helicopters will be produced for the first export customer, the Pakistan Army, plus 8 (+10 Option) T129 Mk-Is for the Philippine Air Force. On 18 December 2018, a MoU for Defence Industrial Cooperation between Turkey and the Philippines was signed between SSB Ismail DEMIR and Philippine Secretary of National Defence Delfin N. LORENZANA at Villamor Air Base in Manila. This MoU will pave the way for cooperation between the two countries in the field of the defence industry and the sale of Turkish Defence and Aerospace Industry products (including T129) to the Philippines. The acquisition is expected to be facilitated through a Government-to-Government deal between the Philippines and Turkey, possibly involving credit provided by Turk Eximbank, Turkey’s official export credit agency. The B Version of the Turkish Land Forces consisting of 50 helicopters will be delivered in two configurations; Phase-I (29 units) and Phase-II (21 units). The T129B2 Helicopters in Phase-II configuration will have 39 new equipment compared to B1. In this context, the T129B2 Helicopters will be fitted with indigenous EW systems such as RWR (Radar Warning Receiver), RFJ (Radio Frequency Jammer), LWR (Laser Warning Receiver) and 9681 V/UHF (Very/Ultra High Frequency) Radio sets in addition to the existing equipment onboard the Phase-I configuration. Additionally, the existing AselFLIR-300T Thermal Imaging System will be replaced with the new generation CATS. The Pakistan Army’s T129 ATAK Helicopters will have a similar configuration with that of the Turkish Army’s T129Bs and the first batch of 10 helicopters would be delivered in T129B Phase-I configuration and the remaining 20 helicopters in T129B Phase-II configuration. At the final phase of the program the first batch of 10 helicopters will be upgraded to Phase-II configuration. While the number of T129 Mk-I ATAK Multirole Combat Helicopters was 10 (9 As and 1 B version) at the end of 2015, this number increased to 18 (9 As and 9 Bs) at the end of 2016, 27 (9 As and 18 Bs) at the end of 2017, and 42 (9 As and 33 Bs) at the end of 2018. Of the 15 T129B1 (42-27 = 15) helicopters delivered in 2018, 10 were delivered to the Turkish Land Forces and other 5 were delivered to the Gendarmerie General Command. The latest delivery was announced on December 30, 2018, on the official twitter account of the SSB with the message “Under the requirements of the Turkish Security Forces, one more T129 ATAK helicopter was delivered”. The first delivery of the 2019 and 43rd T129 Atak Helicopter was also announced on the official twitter account of the SSB on January 13, 2019, with the title “We proceed to boost the close air support capacity of the Turkish Armed Forces. The Army’s inventory secured one more T129 ATAK helicopter.” With this delivery, the number of T129B1 Helicopters in the Turkish Land Forces inventory reached 29, and the total number of T129 helicopters reached 38 (29 B1 and 9 A). T129B Phase-I deliveries were also completed with this delivery. 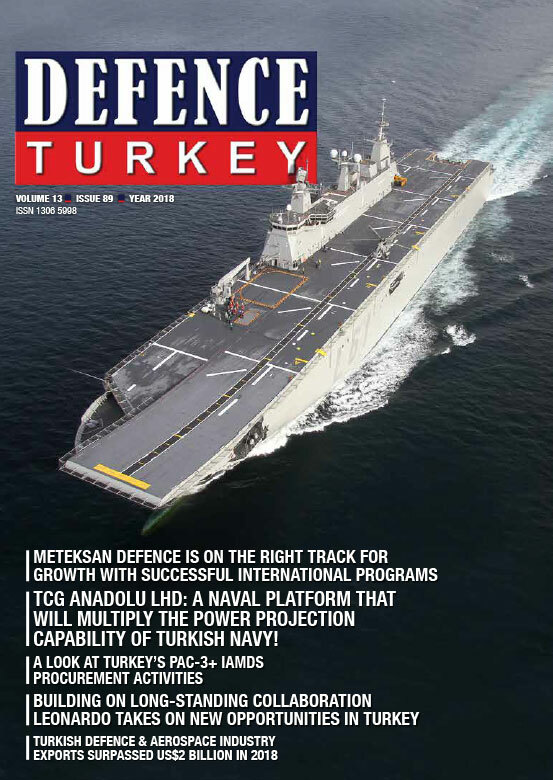 In accordance with the 100-Day Action Plan announced by President Recep Tayyip ERDOĞAN on December 13, 2018, at least one more T129B1 will be delivered (SSB-39) within the first quarter of 2019. Additionally, the Advanced ATAK Project Contract (SSB-03) is expected to be signed within the first quarter of 2019 under the second 100-Day Action Plan. Turkish Aerospace (TUSAS) announced on October 31, 2017 that it has begun domestic development of the ATAK-II combat helicopter. The company began the project to domestically build the 8-Ton Class (with 8.000kg MTOW and around 6.000 empty weight) ATAK-II without foreign help based on technical knowledge and operational experience gained with the T129 attack helicopter currently produced under license from Leonardo Helicopters. The T129 Mk-II (ATAK-II) will be bigger and heavier than the T129A/B Mk-I. Even though some of the sub-systems from the T625 TLUH will be used in the T129 Mk-II, nevertheless the helicopter still needs a more powerful turboshaft engine because the 1,400shp class TS1400 engine will not meet T129 Mk-II’s thrust requirement. TEI plans to meet the engine requirement via 2.000shp class T700-TEI-701D engines, being manufactured under GE license (with a 61% local content share) for the T70 Utility Helicopters. The delivery of T129B2 Helicopters to the Turkish Land Forces and T129B1s to the Turkish National Police is also expected to start in 2019 beside the ongoing T129B1 deliveries of the Gendarmerie General Command. The fuselage production of T129 Mk-I ATAK Multirole Combat Helicopters for the first export customer Pakistan started in the second half of 2018. If the problems in the agreement regarding the export license of the engines can be solved, pilot training is expected to start within 2019 with the first two T129B1 Helicopters to be completed and the helicopters will be delivered to Pakistan in 2020. As the Philippines already have signed a MoU, in the case of signing an official contract, the T129 production for the Philippine Air Force is presumed to start in 2019. The Millimeter Wave Radar (MilDaR) Development Project (MilDaR-II) agreement was signed between the main contractor Meteksan Defence and Presidency of Defence Industries (SSB) on June 28, 2013, to further improve the detection, tracking and fire control capabilities of the T129 Mk-I ATAK Multirole Combat Helicopter. 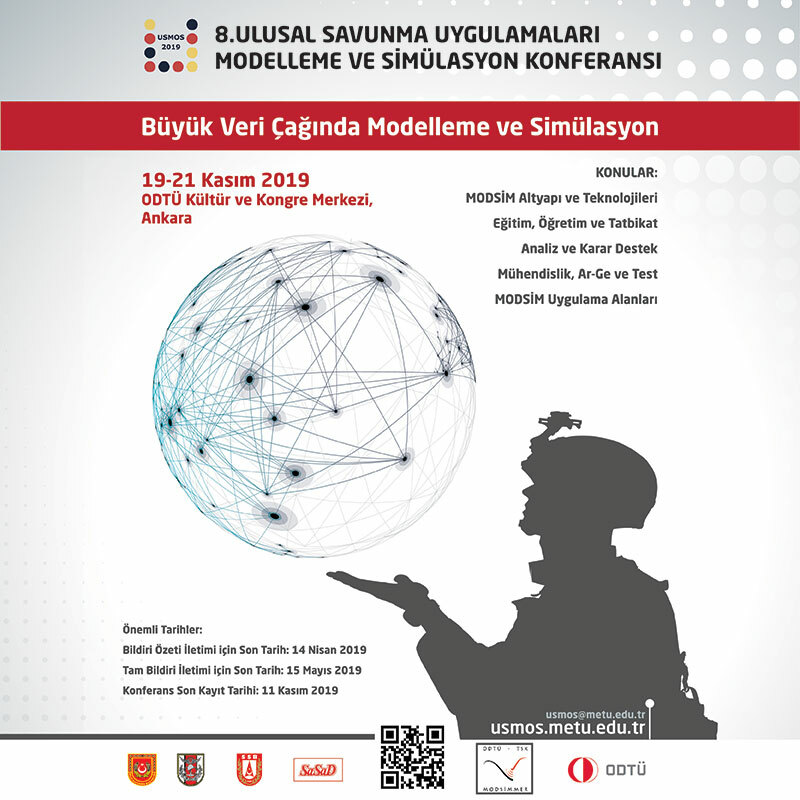 The aim of the project is to develop a light-weight compact multi-functional millimeter wave (MMW) radar prototypes (1 Helicopter-MilDaR and 1 UAV-MilDaR) to be used on Helicopter and Unmanned Aerial Vehicle (UAV) platforms, and an Automatic Take-off and Landing System (OKİS) which provides precise positioning for UAV platforms during autonomous take-off and landing, with national resources; and to test the performance of these systems on helicopter (T129) and UAV (ANKA or BAYRAKTAR TB2) platforms. The contract of the project went into effect on August 13, 2013, and deliveries were scheduled to be carried out on the 44th, 58th and 72nd months. The flight tests of the UAV-MilDaR SAR/GMTI radar (now called MilSAR), which was tested on ANKA and BAYRAKTAR TB2 UAV platforms and can be used as fire control and reconnaissance & surveillance purposes UCAV and UAV systems, are expected to start at the end of 2018. At the meeting, it was also announced that the configuration of MilDaR Fire Control Radar which is planned to be integrated onto the ATAK Helicopter will be lighter and a quarter of its previous size and this new configuration of MilDaR will be demonstrated at IDEF 2019. However, no clear decision is yet to be made on whether to mount the MilDaR radar, to be included in the Advanced ATAK (T129 Mk-II) Helicopter, under the fuselage, at the helicopter’s nose or above the main rotor mast like the Longbow fire control radar on the AH-64D/E Apache Helicopters. When the new MilDaR configuration is ready, the position of the radar on the helicopter is expected to become clearer this year. The performance of the day and night vision capable electro-optical (EO) imaging system on the T129 Mk-I ATAK Multirole Combat Helicopter significantly decreases due to inherent weaknesses of EO systems in weather conditions with poor or limited visibility such as clouds, fog, haze etc. and battlefield conditions such as dust, smoke and fire. However, radar-based sensors provide significant advantages to users under such conditions compared to the electro-optical sensors. The Aselsan product AselFLIR-300T Thermal Imaging System, which allows long-range target detection and identification for engagements, is one of the most important subsystems of the T129 Mk-I ATAK Multirole Combat Helicopter delivered to the Turkish Armed Forces. The AselFLIR-300T Thermal Imaging System at the nose of the helicopter can rotate 360° and detect targets up to 20km and identify targets up to 10km. 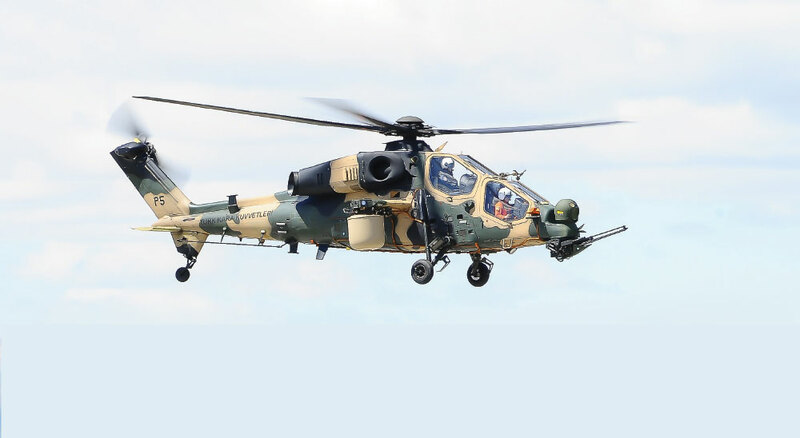 Aselsan’s 3rd Generation CATS EO Reconnaissance, Surveillance, and Targeting System is planned to be used on T129B2 and Advanced ATAK Helicopters, instead of AselFLIR-300T. While an EO-based Reconnaissance, Surveillance, and Targeting System can only track 6 targets simultaneously at maximum, a radar-based fire control system can detect and track a greater number of targets autonomously, and with a radar-guided missile (such as the RF-guided AGM-114L LongBow HellFire) can simultaneously engage far more targets in a shorter time (the AH-64D/E Apache helicopter can engage 16 different targets with 16 AGM-114L missiles just in seconds) compared to a semi-active laser guided missile (such as HellFire II and UMTAS) controlled by the Laser Range Finder and Laser Designator on the FLIR. In conclusion, radar-based fire control systems save the pilot significant time during target acquisition and engagement processes compared to electro-optic systems, in addition to providing significant operational advantages that contribute directly to the increase in survivability by offering situational awareness far beyond what FLIR systems offer in low altitude and low visibility conditions. The Helicopter-MilDaR, which is developed as a Fire Control Radar, is small in size (75cmx75cmx75cm), low weight (55kg) and low power consumption (SWAP). The Helicopter-MilDaR system doesn’t include AESA antenna technology, it has a conventional mechanically driven antenna that rotates to provide 360° coverage. Its power amplifiers incorporate solid-state technology. Since the waveguides are embedded in the antenna material, the dimensions of the radar can be kept minimal. Additional studies are initiated to further minimize MilDaR, which is already a smaller and lighter Fire Control Radar (FCR) than the LongBow radar. The Helicopter-MilDaR, in addition to its primary functions of target detection, tracking and land profiling; it also has low-probability-of-intercept (LPI) property, frequency hopping, Track While Scan (TWS), and multiple target tracking (50 different targets) capabilities. Operating in Ka-Band frequency, Helicopter-MilDaR, provides precise angular and range resolution for ground targets within 12km (MBTs, IFVs, APCs, and off-road vehicles), for air targets within 8km (helicopters and UAVs), and gives speed-based target classification. During the tests, Helicopter-MilDaR managed to reach up to a 28km range. The Helicopter-MilDaR, will be able to engage targets with the RF-guided missiles to be used on T129 Mk-I and Mk-II (Advanced ATAK). The Helicopter-MilDaR enhances the lethality and survivability of the platform during combat when it operates integrated with the weapons and other sensor systems onboard transforming the helicopter into a significant force multiplier in the battlefield. The Helicopter-MilDaR provides 360° situational awareness to the pilot and can display possible targets on the radar screen in any weather condition during the day and at night, and also increases the offensive power and survivability of the helicopter with weapon engagements for multiple targets on the battlefield. Pilots have substantial difficulties in maintaining flight safety during flights in low visibility and low altitude conditions. The Helicopter-MilDaR can display the terrain topology to be flown on the radar screen in order to ensure safe navigation in low visibility conditions. Within this scope, the elevations that may pose a threat on the flight path within the 60° to 120° sector (coverage area) up to a minimum of 100m and a maximum range of 2.5km can be displayed in the MFDs in front of the pilot and the gunner. This feature named Terrain Profiling function significantly increases the pilot’s situational awareness in flight. The major radar-based fire control systems currently in use and developed for rotary-wing aircraft in the world are as follows; AN/APG-78 LongBow (USA, AH-64D/E), Arbalet/FH-01 (Russia, Ka-50N), Kinzhal-V (Ukraine, Mi-28N) and China Northern Electronic Co. product Yu Huo (shortly YH) (China, Z-10 and Z-19). All of these radars operate on the helicopters in mast-mounted configuration (Arbalet/H-01 also has a nose-mounted second radar). The world-renowned AN/APG-78 LongBow radar is used on the AH-64D and AH-64E Apache Attack Helicopters. The development of the LongBow radar produced by Lockheed Martin (AN/APR-48) and Northrop Grumman (AN/APG-78) Joint Venture and acts as the eyes and ears of the crew, was started in the late 1980s and the first radar-equipped AH-64D Apache made its first flight on August 20, 1993. As a result of operational testing and evaluation studies conducted by the US Army under certain scenarios, the AH-64D Apache helicopters fitted with the LongBow radar achieved 141% more hits and experienced 87% fewer helicopter losses compared to the AH-64A helicopters without this radar. The results of the tests showed that AH-64Ds fitted with the LongBow radar have 4 times more lethality and 7 times higher durability than AH-64As. The first batch of 18 AH-64D LongBow Apache helicopters was ordered on December 1995. Housed in a disc-shaped dome located above the main rotor mast (static mast concept preferred) of the AH-64D LongBow and AH-64E Guardian Apache Helicopters and operating in 35GHz Ka-Band frequency, the AN/APG-78 LongBow Fire Control Radar is reported to result in a 15% increase in the empty weight of helicopters. According to open sources, the LongBow radar can simultaneously track 128 (256 in some sources) targets and prioritize 16 of them for AGM-114L HellFire (equipped with a Ka-Band MMW active RF seeker operating in the same frequency with the LongBow radar) launch. The weight of the LongBow radar mounted above the mast is 136kg and the total weight on the helicopter with other sub-systems is 227kg (500lb). The weight of the AN/APR-48 Radio Frequency Interferometer (RFI, 22.9 kg) system, just below the disc-shaped radar dome, is also included in the LongBow radar’s total weight. The AN/APR-48, which operates integrated with the AN/APG-78 LongBow radar, is actually a compact broadband EDT system and provides precise geolocation by detecting RF broadcasts around the helicopter (360° coverage) in passive mode. The Pulse-Doppler type LongBow radar can detect moving ground targets at a range of 8km and stationary ground targets at a range of 6km. The low emitted power, extremely narrow pencil beam mainlobe, and undisclosed LPI modulation features provide a system with a range of the order of 10km in clear conditions. The LongBow radar has 360° searching capability in air-to-air mode and provides 360° coverage in 30 seconds with its conventional mechanically driven antenna. The LongBow radar also features Terrain Profiling capability to avoid obstacles during flight and can scan a 90° sector in air-ground mode. It is stated that the LongBow radar can scan a total of 270° (three different sectors with 90°) covering the front and the sides of the helicopter. However, the engagements with missiles are only possible within the forward-looking 90° sector which is the line of sight of the LongBow radar. Thanks to the LongBow radar, the pilot can detect and engage targets in less than 30 seconds. The mast mounted LongBow radar and AN/APR-48 RFI allow the AH-64D/E Helicopters to remain masked behind terrain, only exposing the rotodome and RFI to detect targets. Because the LongBow radar, weighing 227kg, reduced the performance of AH-64D helicopters in a hot & high conditions (as in the case of Afghanistan) pilots generally prefer to carry additional fuel or ammunition instead of LongBow in low-density conflicts or asymmetric warfare environments. In order to increase the performance of the Apache helicopter, the more powerful T700-GE-701D turboshaft engines started to be used and the composite main rotor blades, which provide a 500lb reduction in total weight, were introduced. This version with the mentioned improvements is named AH-64E Guardian. A scaled version of the LongBow radar without the AN/APR-48 RFI system under the name of Cobra Fire Control Radar (FCR) was developed and tested for the AH-1Z Viper Attack helicopter. The Cobra FCR, which was first unveiled in February 2002, was designed to be mounted on the wingtip station of the AH-1Z helicopter. The total weight of the radar and associated systems was announced as approximately 90kg (200lb). However, the US Marine Corps did not order Cobra FCR for its AH-1Z helicopters. The Yu Huo (shortly YH) Fire Control Radar (FCR), developed by China Northern Electronic company under Norinco, is currently used on Z-19 light attack and reconnaissance (4-ton class) helicopters and also planned to be fitted to the Z-10 attack (6-ton class) helicopters. With the introduction of Yu Huo FCR on the Z-19, China became the third country in the world which uses indigenous MMW FCR on its attack helicopter. The Yu Huo FCR, which is based on solid-state technology with a fully digitized AESA type single face phased antenna array, weighs 69.5kg. Additionally, the Russian Arbalet/FH-01 MMW FCR which is used on Kamov Ka-50N attack helicopters with two separate antennas, and Ukranian product Kinzhal-V radar tested onboard Mil Mi-28N helicopters, weigh around 150kg. Although the Yu Huo FCR, housed in housed in a disc-shaped dome located above the main rotor mast like the LongBow radar and has a similar size to it, the Yu Huo incorporates a flat panel phased array antenna which means it uses newer technology (AESA radar technology) than the LongBow radar. Defence experts consider that Yu Huo has a longer detection range and better ECCM capability than the LongBow thanks to this feature. In open sources, the maximum detection range of Yu Huo, which includes the technology of the 2000s, is noted as 37km with a minimum detection range of 200m. The Yu Huo FCR is used in conjunction with China’s LongBow HellFire missile, the HJ-10/ADK-10 with active MMW radar guidance. The LongBow and Russian Arbalet/FH-01 MMW FCRs have a conventional arc antenna with mechanical steering, therefore the antennas need to rotate 360° for all-around coverage.